Dean Nature Sanctuary to Plank Road Meadow Salt Creek consists of four sections, each offering a distinct paddling experience. 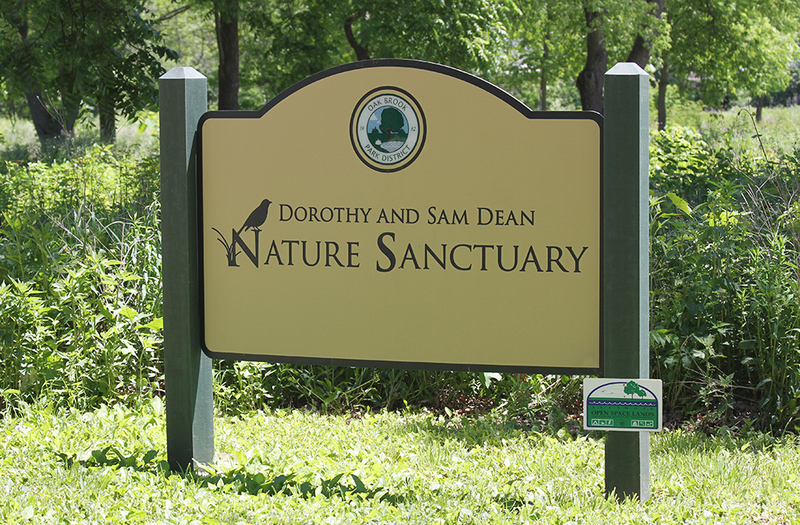 The official lower section of the Salt Creek water trail begins with an access site at Oak Brook Park District's Dorothy and Sam Dean Nature Sanctuary. Although shallow in spots, the river winds through beautiful Cook County Forest Preserve District woods and land owned by the Brookfield Zoo before its confluence with the Des Plaines River at Plank Road Meadow. This stretch has low banks and several access points in forest preserves. Paddlers are advised to take out at the Forest Preserve District of Cook County's Plank Road Meadow or before. One half mile downstream of Plank Road Meadow is the Hofmann Dam, a hazardous dam with no legal portage. Always wear your life jacket and keep it snug. Dress in layers for the weather, and bring spare clothes in a waterproof bag in case of capsize. Avoid strainers - fallen trees or branches reaching into the water. If you capsize near a log, get on top to avoid entrapment by underwater limbs. Walk around any hazard about which you have a doubt. High water speeds up the current increasing the risk of capsizing, entrapment, and getting chilled. Do not go into fast water unless you are sure you can safely paddle through. Do not paddle rivers in flood or after a heavy rain. Carry a map, keep track of your location, bring a cell phone in a waterproof bag, and in case of emergency call 911 and give the location of the nearest bridge. Learn to control your boat and paddle with people who know the river. Consider taking a paddling clinic or class and/or joining a club. High water is very dangerous. When water reaches close to the top of the banks or over, do not paddle!